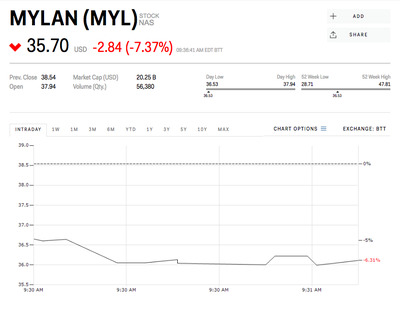 Mylan’s stock dropped 7.4% shortly after markets opened on Wednesday due to poor second quarter earnings. The company’s total revenue for the second quarter was $US2.8 billion, down 5% compared to last year. Sales in North America also fell 22%. 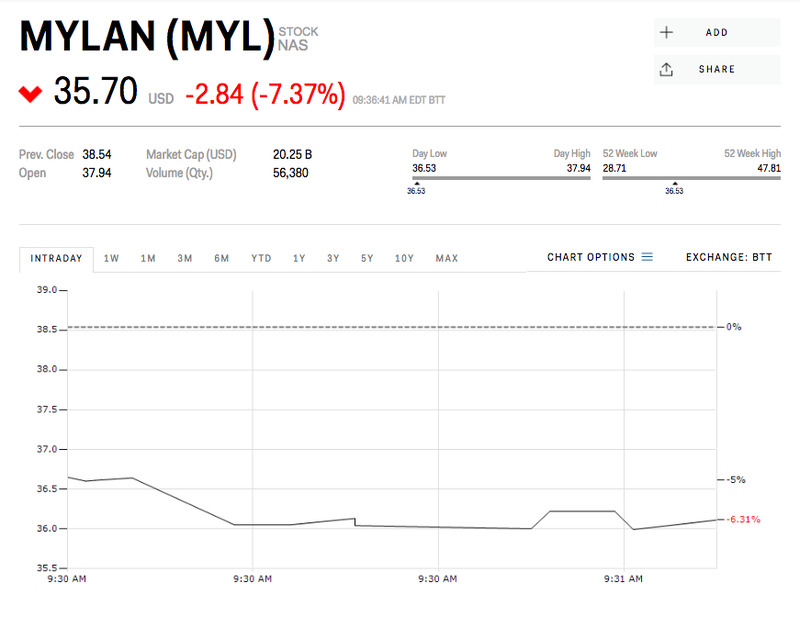 Mylan N.V. is an American pharmaceutical company registered in the Netherlands that makes both generic and specialty drugs. It is best known as the manufacturer of EpiPen.